The United Brotherhood of Carpenters & Joiners was founded on the first charter implemented in 1946 and subsequently ended in June of 1915. However, a New Charter under the same Local number of 1946 was implemented on October 17th of 1915.Twenty-one members established Local 1946, under the leadership of President Joseph Readman and Christopher Effinger as Secretary. Slowly yet surely throughout the 1950's, Carpenters, Drywall and Millwrights joined the Local, and in December of 1961 fellow Carpenters Locals in St. Thomas and Woodstock consolidated with Local 1946. On November 27th, 1973, Drywall and Lathers' Union Local 1316 merged and would join Local 1946 on January 25, 1995. In 2006, a property was purchased on 105 Enterprise Dr. South and served as Local 1946's hall until we moved into the new, state-of-the-art Union. 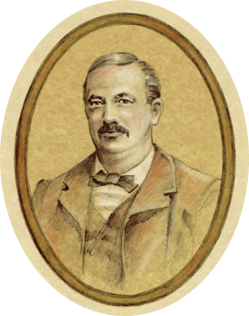 McGuire was born to Irish immigrants on July 6, 1852. He was the first child in a family of five, growing up on the raucous Lower East Side of New York City. When his father joined the Union Army in 1863, Peter left school to become the family's breadwinner. Rather than hang his head, McGuire marched. And spoke. And roused the crowds of the fellow unemployed. The venerable New York Times branded him a "disturber of the peace," and still he thrived. In 1881, McGuire could see that trade was changing. Up until then, a carpenter's life ran a predictable course. As the building industry grew, however, the individual master could not keep up with the increased demands of capital and labor. The old system was breaking down. Contractors now coordinated and supervised construction, while the journeymen and apprentices wielded the hammers and saws. The number of large building employers multiplied, threatening the average carpenter's dreams of becoming an independent master. McGuire recognized the potential effects of a new way of working. His insights and observations about the trade were based on experiences on the job. In January 1881, he wrote a letter to a friend describing his current job, building a self-supporting roof 120 feet in the air in "arctic weather." Work was hard to come by, and he did not complain: "I keep the job because it will last until summer and is $2.50 per day of nine hours." He also saw developments in the trade through the eyes of an experienced organizer. He believed that workers could only combat powerlessness through organization. If the trade of the carpenter was under attack, there was only one thing to do—protect and defend the trade through the collective strength of the workers. The Chicago convention that gave birth to the UBC led to difficult years. The union grew slowly, from a membership of 2,042 in 1881 to 5,789 in 1885. Some cities were well-organized, while others remained entirely nonunion. At the national level, McGuire spent 18 hours a day speaking, writing, and organizing to keep the union afloat. The national office followed him—to St. Louis, Chicago, Philadelphia, New York—as he moved around, responding to one crisis after another. He rarely collected his $20 weekly salary, and if he did, it immediately went toward union expenses. Historians have labeled 1886 as "the year of the great uprising of labor." Never before had so many American workers acted in unison for a common goal: 340,000 workers demonstrated for shorter hours in cities across the country. As the Wisconsin Commissioner of Labor put it, "The agitation permeated our entire social atmosphere… It was the topic of conversation in the shop, on the street, at the family table, at the bar, in the counting rooms, and the subject of numerous able sermons from the pulpit." Workers from every industry participated, but building tradesmen were the central force. UBC locals led the marching columns in every city, inspiring others with their determination. And, not surprisingly, the Brotherhood's top officer was one of the major national spokesmen for the strikers. McGuire criss-crossed the country, calling for reduced hours in front of countless audiences. His involvement was so complete that he had to temporarily suspend the regular business of the union. McGuire, along with General President Gabriel Edmonston, devised a May 1st general strike—a gambit that paid handsome dividends. Union carpenters won higher wages and better conditions in 53 cities. The successes of the union and the dynamic character of its leader attracted thousands of unorganized carpenters. By the end of summer 1886, the Brotherhood had swelled to 21,423 members. Four years later, membership topped 50,000 and McGuire reported that the UBC was "now the largest and most powerful organization, numerically, of any special trade in the whole civilized world." The eight-hour strike of 1886 and another in 1890 transformed the struggling Carpenters' Union into a flourishing organization. Through most of the 1890s, the annual budget was in six figures. In addition to his skill as an organizer, McGuire was increasingly recognized as an astute and capable executive. He was amused by his newfound respectability and fame, once commenting on the change from the past, when "labor agitators were a much-despised class, often without a dinner or a meal. Now they have mayors and governors to welcome them when assembled in convention." In the first decade of the 20th century, an aggressive nationwide open-shop attack was mounted against the Carpenters Union. Employers locked out union carpenters in Chicago, New York, Pittsburgh, Louisville, Houston, Milwaukee, and a number of other cities. Frank Duffy, the general secretary who succeeded McGuire, wrote in a 1904 issue of <em>Carpenter</em> magazine that building employers had "organized, combined and affiliated with one another, with the avowed purpose and firm determination of putting our local unions out of existence altogether." Despite the intensive efforts of open-shop employers, membership in the Carpenters Union reached 200,000 by 1910. A union card became as crucial to a self-respecting carpenter as a complete set of tools. For those who knew the industry, it was a matter of common wisdom that, "the craftsman without a card is a man without a trade." With the onset of World War I, the union faced a new challenge. Wartime needs for temporary military housing, shipbuilding, and ammunition factories pushed the federal government into a massive construction-spending program. When President Woodrow Wilson allowed open-shop contractors on federal construction sites, William Hutcheson refused to participate in the government's oversight boards. "While we have every desire to assist the government in the crisis we are now passing through," he said, "we have no intention of waiving our rights to maintain for ourselves the conditions we have established." Despite extraordinary pressures, the union leadership held firm. On November 7, 1917, 1,300 building trades workers in eastern Massachusetts participated in a general strike on all military work in the area to protest the use of open-shop builders. The strike persisted in the face of threats from the U.S. War Department. While that strike was settled within a week, the larger issue remained unresolved until April 1918 when the federal government approved a new system that guaranteed union shops in those areas that had them before the war. Hutcheson's firmness preserved union standards for carpenters. Peace brought a new and different kind of battle. Employer associations of all kinds initiated a furious assault on union labor under the label of the "American Plan." Building employers, supported by large industrialists and local Chambers of Commerce, pitched in. They took on construction unions in Detroit, Los Angeles, Milwaukee, Minneapolis, Philadelphia, Salt Lake City, and Seattle. Contractors in Chicago insisted on a wage cut in January 1921 and locked out workers after the unions rejected their demand. In June, all crafts except the carpenters and painters agreed to submit the dispute to arbitration by federal judge Kenesaw Landis. The judge's drastic decision slashed wages beyond the initial contractor proposals and weakened long-standing union work rules. The UBC refused to recognize the judgment and led the fight against the "Citizens Committee to Enforce the Landis Award" for five years until union shop conditions finally returned to Chicago. In San Francisco, the Industrial Association broke the 20-year reign of one of the country's mightiest union shops in the building trades. Financed to the tune of $1.25 million and in control of the building materials suppliers, the Builders' Exchange refused to call off a lockout even after the city's Building Trades Council meekly accepted the contractors' original wage cut demand. Determined to crush the unions, the employers of San Francisco settled for nothing less than open shop and an end to mandatory collective bargaining in the building industry. While the American Plan did take its toll, the San Francisco experience was unusually severe. The Brotherhood survived the 1920s. The number of union carpenters declined from 400,000 in 1920 to 345,000 in 1928, but this drop in membership compared favorably to the losses of other labor unions in the prevailing anti-labor climate. Wages in the building trades actually rose by roughly five percent a year. The fury of the anti-union campaigns subsided by the end of the decade. The American Plan of the 1920s challenged the status of unions in the United States, but the Great Depression of the 1930s threatened the very existence of working people. After the stock market crash in 1929, unemployment rose at the astonishing rate of 4,000 workers a week. In 1932, the Chicago Carpenters District Council urged the UBC national leadership to lead the fight for an unemployment insurance system, at the same time that New Deal programs began. Rank-and-file carpenters and locals welcomed the New Deal. Unemployed carpenters were not advocating welfare or relief. They wanted jobs. They eagerly greeted President Franklin Roosevelt's alphabet soup of public works agencies (PWA, CWA, CCC, and WPA) instituted to help revive the ailing economy. Initially, conflicts arose between federal desires to put people to work at any price and union commitments to maintaining a decent wage. By 1936, however, federal and union policies coincided to enable skilled tradesmen to move into their customary roles. New Deal initiatives created jobs for millions of Americans, but the initiatives did not end the Depression. In fact, almost 9.5 million people were still out of work in 1939. Only the monumental task of preparing for entry into World War II was finally able to generate enough work to eliminate the suffering of the jobless. The war-driven building demand and the general post-war prosperity finally provided American carpenters with reasonable opportunities and greater financial security. Local unions took advantage of the favorable conditions to expand into new areas of collective bargaining. In 1950, for example, the New York District Council of Carpenters negotiated a three percent payroll tax to support a Carpenters Welfare Fund. The idea of health and welfare funds became so attractive that the national office's Health and Welfare Committee, appointed in 1954, urged all locals to set up programs as quickly as possible. Jointly trusteed pension funds soon followed, as well as other contract gains, such as safety measures, travel time, and coffee breaks. The accomplishments of this period brought additional stability into the lives of working carpenters and their families. Unfortunately, the extended boom and success in the bargaining arena also bred a measure of complacency within the unions. With nearly full employment becoming routine, business agents often reduced their roles to those of office administration, job referrals, and contract negotiations. Traditional tasks such as organizing and membership education fell by the wayside. The post-war construction boom, however, outpaced the unions' abilities to satisfy all of the labor requirements. As a result, a significant number of nonunion contractors began to appear on the fringes of the industry, particularly in suburban and rural homebuilding. Many unionists remained unconcerned about the potential threat of these newcomers since work was plentiful in the growing commercial and industrial construction sectors. Ignoring the emerging nonunion workforce came at a cost. While union workers continued to build eighty percent of all construction in the United States as late as 1969, the reliance on bigger projects and a limited membership allowed the nonunion employers to win a foothold in the industry. In the late 1960s, escalating material costs and labor prices set off alarms in the ranks of building owners, management consultants, corporate journalists, and public policy makers. In 1969, 200 of the nation's top executives formed the Business Roundtable to put a lid on construction bills. The Roundtable, made up of the heads of General Motors, General Electric, Exxon, U.S. Steel, and DuPont, among others, concluded that the route to financial control over capital construction costs lay in blunting the power of the building trades unions. The Roundtable built political support to weaken legislation, such as the Davis-Bacon Act that protects construction workers' wages. It laid out a collective-bargaining agenda to eliminate union gains. Finally, many of its members sponsored and subsidized nonunion contractors on their own projects. The Roundtable's efforts, combined with the severe building recession of the mid-1970s and an increasingly anti-labor political climate in the United States, provided a generous window of opportunity for the open-shop movement. Nonunion builders, gathered under the umbrella of the Associated Builders and Contractors, took advantage of these opportunities. Construction in the U.S. was no longer dominated by union contractors. Open-shop or double-breasted firms now participated in, and even controlled, many major construction markets. They reduced wages, weakened established safety and working conditions, and changed the way work was carried out on the jobsite. They sought to replace the traditional egalitarian apprentice/journeyman system with the so-called "merit shop" philosophy, in which workers are pitted against one another and have no real shot at quality training or a decent lifelong career in the trades. "Our organization was set up to deal with the industry as it was in post-World War II North America," said UBC General President Doug McCarron when he was elected in 1995. "But the industry has changed drastically since then, and we must change with it." Since his election, McCarron has reorganized the Brotherhood's priorities and structure. He set organizing as the union's number one priority and has redirected its resources to get that job done. The union's localized—and often politically motivated—structure has also been redefined and streamlined to reflect today's regional and national construction industry, as well as to ensure that union leaders are more accountable to members for the job they do. The UBC faces a complex and challenging future. New tools and materials and new methods of construction are entering the industry at an accelerated rate. In many ways, the carpenter of the 1990s was no different from the carpenter of the 1880s. But all indications are that the 21st century is ushering in much more rapid technological innovation. Union apprenticeship and journeyman-enhancement training programs have addressed these new developments, while at the same time maintained a high level of all-around craft competence that union journeymen will always need. Ultimately, maintaining and extending a strong union for carpenters will depend on combining an awareness of the dynamics of the future with the finest traditions of the past. The UBC's growth in the future rests on its ability to reach out and open its doors to all working carpenters. The American workforce may look different today—more multi-cultural, multi-racial, and multi-lingual—but the underlying principle of organizing all the men and women who make their living at the carpentry trade is exactly the same as it was in 1881, when 36 carpenters met in Chicago to improve their lives, their futures, and their trade.